When a TV show lasts nearly 4 times as long as the subject it covers, it’s a pretty good indication that they did something right. When the series finale becomes the most watched episode in American history, with a whopping 50 million viewers and 60% of households tuning in, you realize the show was remarkable. When the show remains in syndication for 25 years and counting, AFTER it ends, you realize that there might just be something to learn from it. In this edition of our Lessons on Blogging series, we take a look at M*A*S*H, a show that accomplished all three of the amazing feats described above. With 11 seasons and 251 episodes of material to choose from, it could have proved difficult sorting through it all. Luckily for me there’s an episode on almost 24/7 so I took one for the team and did a few hours of research (I’m working dear, honest!) as a refresher. So without further ado, may I preset to you, MASH: Lessons on Blogging. One of the most beloved characters on the long running show was Corporal Radar O’Reilly. The squirrelly spectacled kid from Iowa earned his moniker from his uncanny ability to predict what was going to happen next. Whether it was an incoming chopper with wounded or something Colonel Potter needed ordered, Radar was a step ahead of everyone else. Countless times he’d be completing a task before anyone else even knew it needed to be done. It was a great ability to have, especially for the company clerk who was in charge of ordering supplies for the entire unit. Radar’s uncanny ability made him practically indispensable to everyone in the 4077th especially the Colonels. In blogging, the ability to anticipate will put you one step ahead of the game. Whether it’s being an early adopter of a new technology, or it’s being out in front of an emerging trend, accurate anticipation is not only useful, it’s also profitable. This can also take the form of so called “predictive seo.” The concept is pretty simple, you publish content about a subject or topic before others do, then, when the search traffic picks up, you’re sitting at the top of the search results and get the bulk of the traffic. It can also be applied to products or services. If a new product, service, or event begins to create a widespread need, anticipating that need, and more importantly how to fill it, will allow you to get a jump on the competition. For example, Apple anticipated the growing need for a mobile digital music player and thus the iPod was born. Microsoft didn’t, and by the time the Zune was released, it was already too late. Anticipation, can establish you as an early expert and be profitable for years to come. One word: Klinger. Coporal Maxwell Q Klinger wanted nothing to do with the Korean War. Unfortunatly, he’d been drafted and there was nothing he could do about it. Well, almost nothing. Klinger and just about every other draftee knew that there were certain criteria that could get them their one way ticket out of Korea. In hopes of returning to his native Ohio, he settled on earning a section 8 psychiatric discharge. 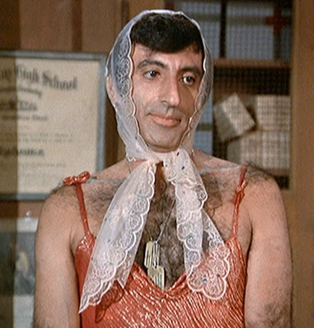 Of course, Klinger wasn’t actually crazy. So, he decided to wear womens clothing, especially whenever a general or the occasional psychiatrist happened to visit the unit. He was literally, “dressing” the part, in hopes of going home. Throughout the show, characters’ origins or roots are mentioned and discussed frequently. Klinger for example is from Toledo, Ohio, a fact which he mentions as often as possible. Colonel Henry Blake often sports his orange “I” sweater in support of his native Illinois. “Hawkeye” Pierce was from Crabapple Cove, Maine, and Colonel Potter makes frequent mention of his home in Missouri. 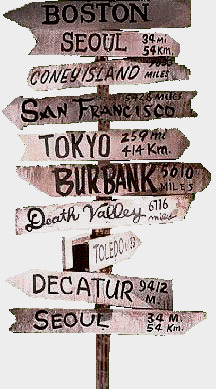 One of the most famous symbols of the show was the wooden sign post with arrows and corresponding mileage pointing towards 4077th members’ hometowns. In the historic finale, “Goodbye, Farewell, and Amen”, each character takes down the arrow pointing towards home before leaving. The message was clear, throughout all the difficulties and struggles they had encountered during the war, they had all held on to their own piece of home. While few bloggers have to worry about struggling to hold on to memories of their hometowns, the lesson is just the same. Remember your origins, your roots, where you came from. No matter how much success you begin to have, or how much attention your site receives, don’t forget what brought you there. The instant you do, you’ll begin to drift away from it and before long, you’ll look back and realize your site is no longer what it used to be and the success that you had been enjoying, is slipping away as quickly as it came. That’s not to say that you can’t try new things or even take your blog in a new direction. However, make sure you stay true to the core features that make your blog great, or you’ll end up alienating all the loyal readers that caused your success. The most enduring theme of the entire 11 year series was the fact that despite, or more accurately because of, the trauma and tragedy around them, the members of the 4077th kept their sense of humor. The doctors would be in the middle of a serious surgery but would still crack jokes and hit on nurses. The pranks and practical jokes pulled in the unit were the backbone of the show and as noted by several different characters, helped keep everyone sane. Even the somber and overly serious Frank Burns joined in on the action once in a while. Granted, it was usually at his expense but the point remains, humor was the life line of every doctor, nurse, clerk, and clergyman in that unit. I wouldn’t dare insinuate that blogging is anywhere near as serious or horrific as war. It’s not, but the lesson still applies. In the online world, it can be easy to get frustrated, upset, or angry. Whether it’s a particularly annoying troll commenting on your blog, or you don’t see the results you want, or another blogger flames your site, a little humor can go a long way to diffuse the situation or at least keep you from overreacting. There are enough heavy and serious things in life, blogging doesn’t have to be one of them. Many people don’t realize how much your emotions are reflected in your writing but it’s true. 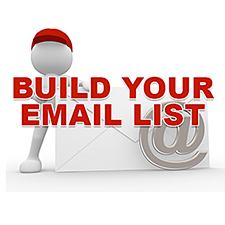 If your burned out or angry chances are your readers will feel it. Keeping your sense of humor and a bit of perspective will make your entire experience that much more enjoyable for you and your readers. M*A*S*H ran for 11 years, despite a setting of the Korean war which was 8 years shorter. It’s just about to enter it’s 25th year of syndication and it still holds the record for the most watched episode in American history. Now I don’t know about you, but I’d love for my blog to be that remarkable, that durable, and that successful. As is the case with almost any show I cover, I’m absolutely certain I’ve left out some very important lessons that bloggers should learn from it. Feel free to continue the list and the discussion in the comments below. Sorry, but Hawkeye was from Crabapple Cove, Maine. Doh! Right you are, Tom. It was Radar that was from Iowa. That hawkeye connection always messed with me. I’ve fixed it now. Thanks! Don’t act smug toward the end of your record run. This is NOT an attack on you, this is an attack on the show. You know what really stands out about MASH? It was, and still is, the best written show on television. I watch it over and over because each time I hear new stuff I missed before. Great post. Very well thought-out. Jim, I couldn’t agree more. The writing was simply amazing. The banter back and forth is priceless and I can watch episodes over and over and still laugh. The writing, the jokes, and the style have all held up incredibly well. One of the aspects I have been noticing more lately is all the hilarious things the PA announcer says. Lol David, I can’t tell you how obnoxious it was to sit and type that out every stinking time. I ended up just doing it the regular way and then copy and pasting when I was done hehe. Yes, been there, done that. Once accidentally searched and replaced all single spaces with no space in a several thousand word doc, undo just wouldn’t do…no backup, had to abandon. It was either that or go through hitting the space bar and moving manually…quicker just to retype. You think M*A*S*H – I*R*A*Q will be as entertaining, or too fascist-too soon? A bunch of naked iraqis beaten and de-humanized. What a great show M*A*S*H was. Nice job applying it to blogging Ben. A show that lasts 11 season and 251 episode there must be some lessons to be learned from it, I’d love for my blog to be that remarkable and that successful. Ken Levine, huh? Cheers was certainly one of my all time favorite shows. 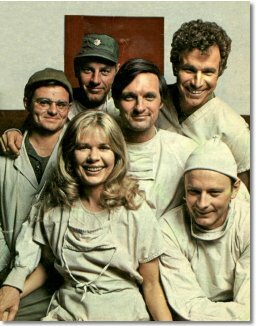 I loved M*A*S*H early on, but to me it got progressively worse through the years. BJ wasn’t as funny as Trapper John, Colonel Potter not as funny as Blake, Winchester not as funny as Frank Burns…hell, Klinger even stopped wearing dresses. It became much more of a drama than a comedy. No thanks. Stan, I couldn’t disagree more! I thought BJ was much better than Trapper, Potter better than Blake, and Winchester was at least more intelligent than Burns although I could see calling that one a push. Trapper always seemed like another Hawkeye to me and you didn’t need that. Blake seemed a lot like Burns to me and to me Potter was more enjoyable. Back in 1998, Alan Alda was still hosting Scientific American on PBS. Not many people (relative to the present) were using email, but Mr. Alda actually was, and his email address was actually posted on S.A.’s web site (a more common practice back then). I sent him an email, and I have no reason to believe it was anyone other than himself that responded. but we also know that you breathed real life into Hawkeye. couldn’t possibly equal all the awards you’ve received in your lifetime. science, and more simply put, a man with a huge heart. Thank you. with a respect for the written word. How cool was that? A direct question and a direct answer! Hi Ben, finally get round to MASH, do you? As you know I am a huge fan of MASH too, and I like how you can still relate all that to blogging. Just a question, how did you get such detailed still shots from the show. From what I remember from my TV, the quality is sort of hazy. @Chad Storm – That is really a guy with a huge heart. I am sure if you email any stars from TV shows now, all you get will be PR answers or none. Hi. I love this piece that you wrote especially since you related it to blogging. My favorite has to be staying close to your roots and know where you came from. It is hard not to follow the crowd. I want my blog to stand out and I can only do that by being my wonderful self (lol)! Like good shows that run for a long time, good blogs will endure. It takes patience, humor, and commitment. If only I can remember this when I want to kick my own green blog around! Nice piece of work, Ben. Chad, how amazing to have received a reply from Alan Alda without the intervention of talking to his PR people! I have alot of respect for him as an actor. Thanks for sharing this letter. Everyone-I love Cheers! What a great show. You’ve tapped into something here, Ben. What’s your take on Gunsmoke’s 625 episodes? I have to say that I am a huge fan of MASH and your analogies using MASH are just awesome. I think this has been one the the most clever posts I have read it sometime, I suppose because it was so entertaining. 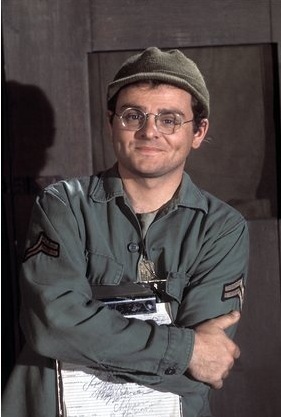 I grew up on M*A*S*H and loved it … Hawkeye, BJ & Trapper taught me not to take anything too seriously. The word ‘success’ in these times normally means wealthy. If you’re miserable without money, you’re normally miserable with money. Just have fun. Joke around. Don’t worry about making your corporation more money. Don’t worry about retiring at 45. Don’t worry about whether the backsplash matches the appliances. Don’t worry about beating the guy in the black Escalade who’s driving like a lunatic. Laugh, Drink, have fun. Take more vacations. Relax. Read more books. Sing.